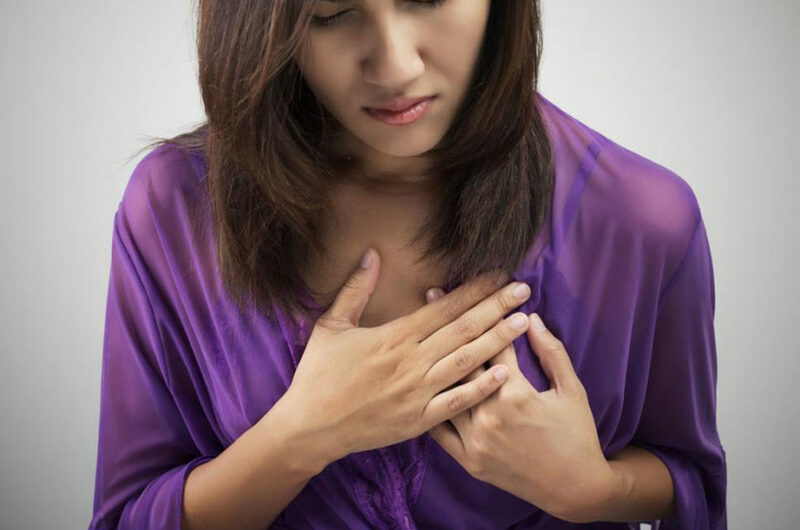 The human heart is located to the left the chest; a chest discomfort could easily be one of the strongest symptoms of a heart attack if it stays for more than a few minutes. Make sure to consult a doctor at the earliest or call the emergency helpline. These are another set of common heart attack symptoms and have been observed in many people suffering from a heart attack. These symptoms could also lead to vomiting in some cases and are more generic among women. The pain of a heart attack in your chest can be caused due to a blocked artery; this pain is also set to spread to your arm if it gets too intense. This is a clear sign of a heart attack. If you suddenly feel dizzy or lightheaded it could be because your heart rate has dropped as your heart is not able to pump blood at its regular pace. You must consult a doctor, right away! If you feel exhausted after doing activities that you completed efficiently in the past, you might be prone to a heart attack. Unexplained weakness could also be a symptom of a heart attack. If you have a cough for about more than a week or two, it can be a symptom of a heart trouble. This can be considered only if you have a heart disease or have had one in the past. If that’s the case, you must focus on this possibility. Excessive perspiration is a sign of heart attacks. If you are facing cold sweats for no defined reason you must consult a doctor as it could be a sign of a heart attack. Swelling occurs when the vein is unable to execute efficient blood flow, this can happen if your heart is not pumping blood at a stable rate. Irregular heartbeats are not uncommon, but if this happens on more than one occasion, it could be a cause of concern for your heart. Snoring loudly or choking while you are snoring could be a sign of sleep apnea, this happens when you stop breathing for small moments adding excess stress on your heart.